Boeing Chairman Jim McNerney has threatened to move work out of the U.S. if the government’s Export-Import Bank is not reauthorized by Congress. Is that an empty threat? Is that just bluster, or a real possibility? The Export-Import Bank, or "Ex-Im Bank," was created in 1934 to support export-dependent jobs in the U.S. It provides loan guarantees so foreign companies can get commercial loans for the purchase of U.S.-built products. In 2014, Ex-Im issued $20.5 billion in guarantees, and made a profit of $675 million. 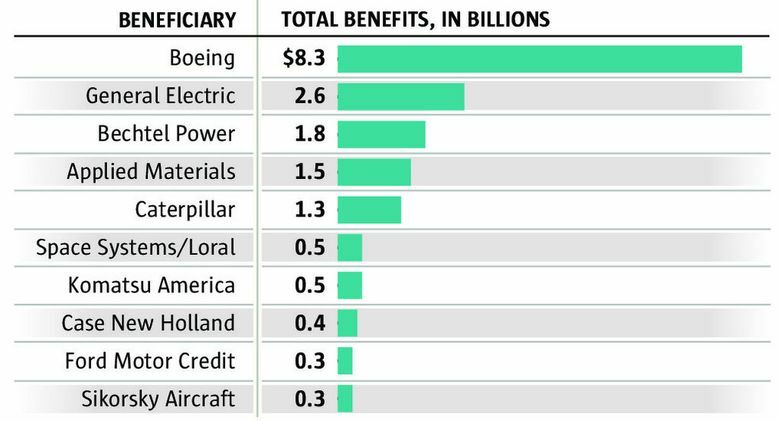 Boeing is the biggest Ex-Im beneficiary. What’s going on with the Ex-Im Bank now? Ex-Im’s authority from Congress to do new transactions expired at the end of June 2015. The Ex-Im Bank provides loan guarantees for foreign sales of U.S.-built products. It seems preposterous to suggest Boeing could move factories abroad in order to replace the American-backed loans with financing from another nation. But those involved with Ex-Im and similar export credit agencies abroad say Boeing wouldn’t need to move any major assembly sites to get loan guarantees from other countries. They could do it by outsourcing more parts work. Nations already part of Boeing’s supply chain — Canada, for one — have looser rules for export financing and a hunger for new manufacturing jobs and advanced technology. They might extend funding now for a promise of jobs in the future. “I could definitely see this getting initiated near term and getting ramped up in the longer term when they could actually migrate production and jobs,” said Jon Byron, senior vice president for export credit and corporate finance at New York-based Apple Bank, one of the top lenders under Ex-Im guarantees. In recent years, Boeing has outsourced to foreign partners very substantial work in designing and building its jets, and the jobs that go with that work. The question is, could the demise of the Ex-Im Bank spur even more such offshoring of jobs? Iraq in April requested that an order of 10 Boeing 737s be approved for loan guarantees from the Ex-Im Bank. Without the guarantee from Ex-Im, commercial banks would be reluctant to lend the hundreds of millions of dollars such a purchase entails. What if the airline gets in trouble five years out? What’s the solidity of a country’s legal system? Its bankruptcy laws? Its government’s stability? For the lending banks, Ex-Im removes the risk: If the borrower defaults, the U.S. government will pay off the loan. So the bank feels free to lend the money, the foreign airline buys the jets and Boeing gets the sale. And despite the seeming risk, Ex-Im’s lending has worked out fine for the U.S. government. Historically, the bank has earned more from issuing loan guarantees than it has paid out for loan defaults, turning a net profit. Boeing is by far Ex-Im’s biggest beneficiary, according to data compiled by the Mercatus research center at Virginia’s George Mason University. In 2013, Ex-Im provided $8.3 billion in loan guarantees to Boeing customers, 30 percent of the bank’s total financing. This provided support for 15 percent of all Boeing’s jet deliveries that year. Others — as big as General Electric and as small as the Hilliard’s brewery in Ballard — also used Ex-Im Bank guarantees, for a 2014 total of $20.5 billion. Yet this decades-old system for oiling the wheels of international commerce and maintaining export-related U.S. jobs crashed to a halt at the end of June. Conservative Republicans, tea-party activists and libertarians decried Ex-Im as “corporate welfare.” They denounced Ex-Im’s financing support for well-off airlines such as giant Middle Eastern carrier Emirates. After members of Congress stonewalled a reauthorization vote, the bank’s authority lapsed and all future deals are on hold. That includes financing for the Iraqi 737s. If Ex-Im supporters could force a vote, they believe the bank would survive handily. But so far they haven’t been able to do so, despite massive lobbying of Congress. 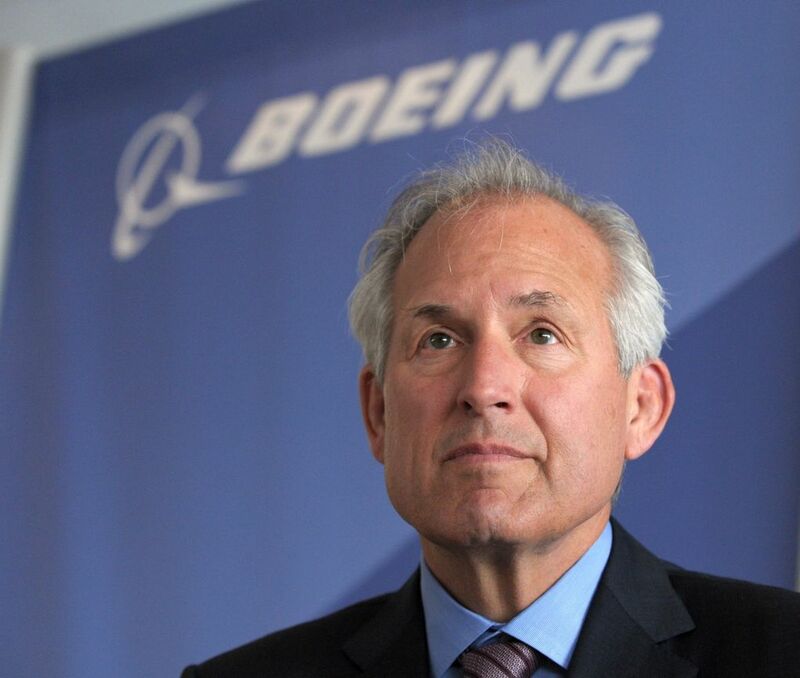 According to an analysis of federal lobbying disclosure filings by MapLight, a research organization that tracks money in politics, Boeing has spent about $16 million in each of the past four years lobbying the government. This year, pressing hard for Ex-Im authorization, Boeing spent $9 million just in the three months leading up to the expiration of Ex-Im’s authorization. But authorization lapsed anyway, and now the Republican presidential primary race is prompting candidates to adopt hard-line positions. At the RedState Gathering in Atlanta last week, New Jersey Gov. Chris Christie applied the “corporate welfare” tag to dismiss Ex-Im as unnecessary. In such an atmosphere, future financing needed to close the sales on Boeing orders for both aircraft and satellites is suddenly in doubt. Several people involved with the financing processes used by Ex-Im and other export credit agencies described what might happen, though they declined to be identified due to the sensitivity of the political debate. The bottom line is McNerney’s threat is real: Boeing and other U.S. corporations could readily tap into foreign export credit agencies (ECAs) for financial support of their sales — at the cost of U.S. jobs. That’s because other countries are less restrictive in doling out export credit than the U.S.
Ex-Im is by law not allowed to finance more than the total U.S. content of any product, and the product must be shipped from the U.S. But the Canadian and Japanese ECAs, like their European counterparts, don’t have such limitations. Boeing could, for example, go to the Canadian government and offer to significantly increase the work and the jobs at its fabrication plant in Winnipeg — in return for Canadian financing support. In Canada’s trade-oriented economy, Export Development Canada provided $21.6 billion in financing last year — essentially matching the Ex-Im Bank’s activity in a nation with one-ninth the population. Canada requires only that a loan guarantee be in its national interest. There’s no strict percentage requirement on the amount of Canadian content. Phil Taylor, a spokesman for the Canadian agency, said, “We could look at financing where the U.S. company commits to increasing its Canadian supply. “The commitment would need to be supported by very solid procurement plans,” Taylor said. In addition, foreign ECAs can work together so that each has to provide only part of the financing for any deal, not all of it. The world’s ECAs have an agreement whereby each can cover the portion of any finished good that contains components from that country. For instance, the British ECA may provide 20 percent backing for the net price of an airplane if it has Rolls-Royce engines. If that’s a Boeing jet, it’s Ex-Im that provides the overall financing and the purchasing airline deals only with Ex-Im. But the British ECA underwrites the engine percentage for Ex-Im. Similarly, because the Japanese make 35 percent of the airframe of every 787 Dreamliner, the Japanese ECA already underwrites that percentage of the Ex-Im support for a 787 sale. That hefty Japanese participation makes Japan a natural source of alternative financing if Ex-Im goes away. Boeing could negotiate separate deals in countries where it has a significant supply chain — Japan, Canada, the U.K., Italy, France, Spain, Germany — in each case committing to place more work in that country. Then the Canadian and European ECAs could choose to back a Boeing sale by participating through the Japanese ECA in place of Ex-Im. “It would take time. But in the end, it would be a very workable solution that would slowly but inexorably reduce U.S. content,” said one person familiar with export credit financing. The upshot: “You have put in motion a process that would diminish the U.S. jobs in each Boeing plane. Smaller aircraft parts, both machined metal and composite — from fairings to doors to heavy metal fittings for the wings or landing gear — could be at risk of outsourcing. Ex-Im’s second biggest customer, General Electric, is equally forthright about the potential consequences of the bank’s demise. Alex Pietsch, director of Gov. Jay Inslee’s aerospace office, said the prospect of a finance-driven outflow of jobs is dispiriting.